A legendary Swedish pop/new wave band. Secret Service is a legendary Swedish pop/new wave band, originally formed 1979 by the trio Ola Håkansson, Tim Norell and Ulf Wahlberg. Secret Service's first single "Oh Susie" became a hit in Sweden and was number one hit in 29 countries. The same titled debut album also included another great hit, "Ten O’clock Postman". Other successes followed, such as "Flash in the Night" and the duet with ex-ABBA's Agnetha Fältskog, “The Way You Are”, and many more. Secret Service had many admirers in the Soviet Union and other countries of Eastern Europe during the Cold War. 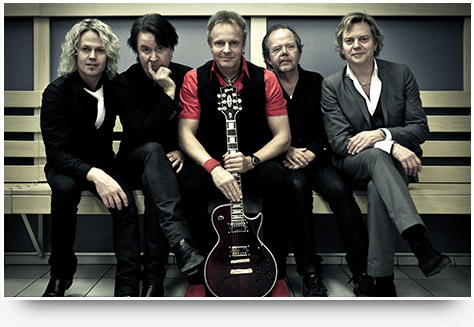 Faced with a 1980´s gala in Moscow in December 2006, Ulf and Tim re-assembled the band, however, with a new lineup. Because of family and business reasons Ola decided to not join the band at live performances. So together with Mats Lindberg (original member on bass since 1985) they invited Mikael Erlandsson (vocals and guitar) and Jaime Borger (drums) to join the new live version of the band. Secret Service has recently released a new album, called “The Lost Box”, including 11 new songs.